If you received a summons in the mail telling you to appear for a Clerk’s Hearing to determine if a criminal complaint should be issued against you, you have come to the right place. You should not represent yourself at this critical legal proceeding as it is the first step in the issuance of a criminal prosecution against you. A criminal defense attorney is better equipped to handle the hearing and to get the charges dismissed if possible. A Clerk’s Hearing or Clerk Magistrate’s hearing in Massachusetts is a “show cause” hearing. The purpose of this type of hearing is to screen out cases that should not result in the issuance of criminal misdemeanor charges. A defendant is entitled to a clerk’s hearing for misdemeanor offenses only (assault & battery, shoplifting, or drug possession) that were not committed in the presence of a police officer. As a rule, police do not have the authority to arrest an individual for misdemeanors not committed in their presence. Instead, the police must apply for a complaint at the local district or municipal court. Exceptions to this rule are crimes such as domestic assault and battery or shoplifting which have by statute become arrestable offenses. Nevertheless, if a police officer tells you that you will be summonsed to court instead of being arrested, he is sending you a message that the your case might be able to be resolved at the clerk’s hearing. When a Police officer files an application for a criminal complaint with a Clerk Magistrate instead of seeking an arrest warrant, it means the Police believe you committed a crime but want the Clerk to review the facts before issuing a complaint against you, which gives you the opportunity to challenge the facts. For this reason, these hearings are an excellent opportunity to attempt to resolve a case before the Clerk issues the criminal complaint. Too often, under the misconception that they can talk themselves out of trouble, clients will represent themselves at these hearings with unfortunate results. The unrepresented do not realize that the Clerk’s function at this hearing is not to decide guilt or innocence, nor to rule on credibility issues, but rather to issue a criminal complaint if they decide that the police possess sufficient proof that you committed a particular crime. If you have been summoned to attend a Clerk’s hearing regarding an application for issuance of criminal complaint, don’t incriminate yourself. Attorney Topazio knows what it takes to stop the criminal process before it stops you. To evaluate your case, contact us today for a free confidential consultation. Typically a defendant will be called in to a clerk’s hearing via a criminal citation or summons which he or she receives through the mail. The document that the defendant receives will be an “application for complaint”. An application for complaint is applied for instead of arresting and arraigning the defendant on a misdemeanor charge. A Clerk Magistrate’s hearing is an informal proceeding where the rules of evidence are relaxed. The hearing is conducted before a clerk instead of a judge. The proceedings are not recorded and there is no public record of what transpires in a clerk’s hearing. The clerk’s role is to consider the evidence before him, not to decide guilt or innocence, or to rule on possible defenses or to determine credibility. Before a clerk will issue a criminal complaint he must hear evidence which constitutes that a crime has been committed. Despite this fact, a Clerk’s hearing creates an excellent opportunity to resolve a case before the actual criminal complaint issues. An experienced criminal defense attorney understands the criminal process and knows how the police and clerks evaluate cases. An attorney can identify problems in a criminal charge and focus on them in an attempt to get a complaint dismissed. Being represented by an experienced criminal defense attorney conveys a message to the court that you view the circumstances seriously, that you are mindful of the clerk’s authority to issue criminal complaints and that you are aware that you will receive a criminal record if the complaint against you issues. Boston Criminal Defense Attorney Steven J. Topazio has found that, depending on the circumstances of each case, most Clerk Magistrates will listen to mitigating facts and will entertain alternative resolutions of cases if the parties can agree. 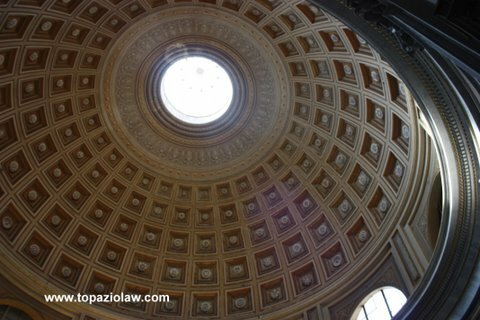 Attorney Topazio has been successful when he negotiates with the police prior to the hearing in working out settlements which are satisfactory not only to the police but to his client. A resolution of the dispute in turn gives the clerks good cause to dismiss the complaints that could be issued. If the complaint is dismissed you will not be charged or have to appear in court as a criminal defendant and nothing that has transpired during the clerk’s hearing will appear on your criminal record. If you have been called to attend a clerk’s hearing, protect your future and family. Contact Boston Criminal Defense Attorney Steven J. Topazio for a free confidential consultation. The client received a summons to appear at a Clerk Magistrate Hearing on an Application for Criminal Complaint alleging that he committed the offense of Assault and Battery on a Household Member in violation to MGL c. 265 § 13M. The client hired Attorney Topazio who obtained a copy of the police report and discovered that the report was full of inconsistencies and time lapses since the alleged incidents. Attorney Topazio advised his client to file a complaint against his ex-girlfriend after he learned that the ex-girlfriend attacked his client several times. At the Clerk Magistrate hearing, both sides advised the Clerk that they would be asserting their Fifth Amendment and would not testify so as to avoid incriminating themselves. Without any witnesses being willing to testify or provide any information to the Magistrate regarding the allegations for his consideration, both complaints were dismissed. The client received an application for criminal complaint alleging that he committed an assault and battery in violation of MGL c 265 § 13A after leaving a bar in Quincy. The client allegedly got into an altercation with another man and struck that person. After an investigation into the case it was found that the complainant struck the client first. Although the complainant went to the police and filed a report, the case was resolved at the Magistrate Session after it was determined that the complainant was the initial aggressor and that the complainant failed to cooperate in the hearing. The complaint was properly denied. Assault & Battery MGL c 265 § 13A(a), A&B police Officer, Resisting Arrest MGL c 268 § 32B, Clerk Magistrate Hearing on Application for Complaint resulted in all charges being dismissed. The client, a 24 year old Boston University student, received a summons to appear for a Clerk Magistrate hearing, hired Attorney Steven J. Topazio to represent him. According to a Boston Police report, officers saw a large group gathered around an Asian male who was lying on his back on the sidewalk with several drops of blood on his shirt and bleeding from the mouth. According to the report the victim stated that an unknown male had punched him in the right side of his jaw and fled. The report indicates that an officer chased the client through several back yards. At one point the officer came up to a fence and while attempting to climb over it the office alleges that the client shoved the officer back over the fence and the officer fell off. Attorney Topazio met with police and the complainant in an attempt to negotiate a resolution of the matter. Attorney Topazio learned that the complainant sought medical treatment at St. Elizabeth’s Hospital and incurred a great deal of out-of-pocket medical expenses. With the assistance of the police, cooperation of the complainant, Attorney Topazio was able to persuade the Magistrate to dismiss all charges against his client. Shoplifting M.G.L. c 266 § 120, Trespass M.G.L. c 266 § 30A, Application For Criminal Complaint, All charges dismissed following Clerk Magistrate Hearing. The client, a 20 year old college graduate from North Shore Community College, hired Boston Criminal Defense Lawyer Steven J. Topazio to represent her at a Clerk Magistrate Hearing when she received a summons for shoplifting and trespass in the mail. According to Peabody Police, the client was in H&M department store at the Peabody Mall when the client was observed on CCTV and by store security selecting various items then walking out of the store without paying for them. The security officer approached the client outside of the store and when the client was confronted she ran. The client’s friends were stopped by the store security and identified the client. Shortly thereafter the Peabody Police contacted the client’s home looking for the client. The client voluntarily went to the police station and returned some of the stolen merchandise which she admitted taking. The client had a criminal record for similar offenses out of the Peabody Mall and had also been trespassed by the Mall. Attorney Topazio appeared with his client at the Clerk Magistrate Hearing and defended his client. Attorney Topazio admitted that there was probable cause to charge his client but pointed out mitigating circumstances of cooperating with police in arguing that the charges against his client should be dismissed. Attorney Topazio persuaded the clerk to dismiss all criminal charges. Traffic Citation, College Student, Unregistered Motor Vehicle MGL c. 90 § 9; Operating with Suspended License MGL c. 90 § 23; All charges dismissed following Clerk Magistrate Hearing. The client, a 22 year old college student, received a criminal citation after a State Trooper stopped the client’s motor vehicle in the Ted William’s Tunnel. The Trooper ran the client’s license through his mobile data terminal in his cruiser and received information that the client’s registration and driver’s license was suspended and wrote her a criminal citation. The client maintained that she had no knowledge of the suspension. Wanting to challenge the charges, the client hired Boston Criminal Attorney Steven J. Topazio. Attorney Topazio told his client to appeal the citation and she would receive an application for criminal complaint in the mail. The client received the traffic ticket after she went to the airport to pick up her sister. Attorney Topazio contacted the registry of motor vehicles and discovered that unpaid excise taxes caused his client’s suspensions. Attorney Topazio argued to the Magistrate that his client planed on traveling overseas and was anxious to resolve this matter and further corrected her license and registration issues with the RMV and paid all outstanding and required fees. As a result of providing proof of payment of the outstanding excise tax bill which caused the suspension issue, Attorney Topazio was able to persuade the Magistrate to dismiss the complaint. The client, a 27 year old consultant, hired Boston Criminal Defense Lawyer Steven J. Topazio after he was summonsed to court for an application for criminal complaint. Attorney Topazio learned that his client moved to Massachusetts from Illinois, then moved to Virginia where his client changed his auto insurance, then moving back to Massachusetts, but failed to reinsure his motor vehicle in Massachusetts when he was stopped by police. Attorney Topazio instructed his client to insure his motor vehicle in Massachusetts prior to the scheduled Clerk Magistrate Hearing. In Massachusetts, it is a crime to operate a motor vehicle without proper insurance. The law states that any individual who operates or permits to be operated a motor vehicle for which insurance has not been provided shall be punished by a fine of not less than $500 (no more than $5,000), or Imprisonment for no more than 1 year in a house of correction, or both. Any person who is convicted of this crime shall have his license or right to operate a motor vehicle suspended for sixty days by the Registry of Motor Vehicles. Today Attorney Topazio persuaded the Clerk Magistrate to dismiss the complaint against his client. Result: Case dismissed and client avoids an entry on his criminal record as well as avoiding a possible license suspension. The client, a 21 year old college senior, hired Attorney Steven J. Topazio to represent her after she received an application for criminal complaint hearing in the mail to appear in the Boston Municipal Court. Police alleged that the client allowed her driver’s license to be used by an individual under the age of 21 to obtain alcohol in a local downtown restaurant. According to Massachusetts General Laws c. 138, section 34, any person convicted of procuring alcohol to a person under 21 years of age shall be punished by a fine of not more than $2,000 or by imprisonment for not more than one year or both. At the hearing, Attorney Topazio was able to persuade the Clerk Magistrate to dismiss the complaint against his client. The client, a 22 year old restaurant worker hired Boston Criminal Defense Lawyer Steven J. Topazio to represent him after he received an application for criminal complaint. According to the Boston Police Report, the client was in Marshalls in the South Bay Mall when he was observed trying to remove the ink security tags from several shirts. When one of the ink security tags exploded damaging the shirt, the client left the store and proceeded to his car in the parking lot. Marshall’s security followed the client and found other items from Marshalls that were taken by the client without paying for them. Attorney Topazio appeared with his client at the Clerk Magistrate Hearing and persuaded the clerk to dismiss all charges. When the client received an application for criminal complaint charging her with leaving the scene of property damage she contacted Boston Criminal Lawyer Steven J. Topazio. According to the police report, the client hit a parked car and ripped off its bumper. The client left the scene of the accident without making herself known in violation of law. The next day the client was contacted by police who had investigated the matter and when called down to the police station, she admitted to the accident and leaving without making herself known. Attorney Topazio assisted his client in filing a claim with her insurance company so as to cover the cost of damage to both her and the victim’s car. Despite this being the client’s second offense for leaving the scene of property damage, Attorney Topazio persuaded the Clerk to dismiss the charge. A family of three received a summons for a Magistrate Hearing for shoplifting a designer handbag from a department store and hired Boston Criminal Lawyer Steven J. Topazio to represent them. According to the shop owner, one of the parties was seen carrying wire cutters into the store and the family was later seen removing the security tag from a Michael Kors handbag and hid the handbag in an empty shopping bag and left the store without paying. Although the police who responded could have arrested the family, he gave them a break and summonsed them to court for a Magistrate hearing. The parties had a lot to lose in addition to their reputations and employment. Although the evidence was compelling and supported the issuance of criminal complaints, Attorney Topazio took advantage of the fact that the police didn’t arrest the family, and although acknowledged the wrongdoings, convinced the Magistrate to dismiss all charges. The client, a 23-year old Registered Nurse, received an application for criminal complaint alleging she committed an assault and battery on another, hired Boston Criminal Attorney Steven J. Topazio to represent her. Attorney Topazio spoke with the Boston Police Officer bringing the complaint in an attempt to investigate the allegations and to determine if a resolution could be fashioned whereby the criminal complaint would not issue so as to protect his client’s licensure with the Board of Registration in Nursing. Assault and Battery is a crime substantially related to the qualifications, functions, and duties of an RN that could result in the license being suspended or revoked. Today Attorney Topazio persuaded the Magistrate, with the consent of the Boston Police Officer, to dismiss the complaint filed against his client.